Rankings will be updated monthly. If you have any opinions, let us know at thefranchiseradio@yahoo.ca.Rankings are provided by Jordan Small, Owner and Publisher of MMA Hangover. I hate to argue. But in boxing, a P4P champion is usually one who has one more than ONE weight class title. "Sugar" Ray Leonard was a P4P champ, Roy Jones Jr. was a P4P champ, "The Excecutioner" Bernard Hopkins was a P4P champ, even Thomas "Hitman" Hearns, Oscar De La Hoya, and "Marvolous" Marvin Hagler should be considered P4P champs just for the SINGLE FACT that they have competed for, and won more than ONE championship, in more than one weight class (Or at LEAST more than one boxing org). So, how come in MMA Andersen Silva is considered the P4P champ? Because, unless a person becomes the WEC, UFC, or any other organization that decides to come into the picture, OR if the fighter dosen't gain the tile in his own weight division, 1 up, AND 1 down (OR 2 up, OR 2 down), he is just considered a REALLY GOOD fighter...Not a great, and NOT a P4P champ. Or, is this just due to the boom that MMA is seeing today that a "P4P" is even in consideration? 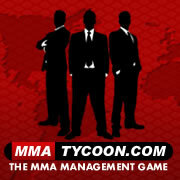 I'm stating this b/c I think MMA should ditch the monopoly, and stop having MMA fighters ONLY contracted to ONE org. UFC COULD be like Golden Boy, and allow an ACTUAL P4P champ. Not a "P4P" champ, b/c what u deem a "P4P" champ is ONLY just a GREAT fighter, but NOT an ACTUALL P4P champ.